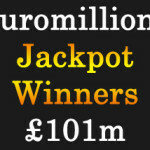 The Friday’s EuroMillions raffle was a draw like no other. 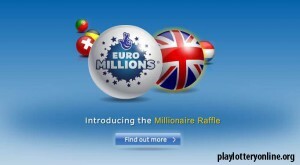 It was guaranteed that 18 Million EuroMillions raffle players would be made a million pounds richer. It was an offer some considered ‘too good’ to be true. However, Camelot wasn’t bluffing about it because just as it was publicized, 18 players struck the gold mine at the end of the week draw. By the time of writing this, only five of the winning raffle ticket holders had come forward to claim the one million pound prize. Camelot expects that by the end of the week most, if not all of the overnight millionaires will step forward to claim their lottery fortune. 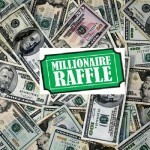 The lottery officials are urging anyone who bought a raffle ticket to check and recheck their tickets to eliminate the chances of the winning staying unclaimed. Onto other news, none of the Euro Millions lottery players was lucky enough to match the winning numbers from the Friday’s draw. The winning numbers from the draw were 13, 29, 43, 47 and 50 while the lucky star numbers were 9 and 11. The lack of a jackpot prize winner consequently led to the €65 million jackpot prize to roll over to the next draw. 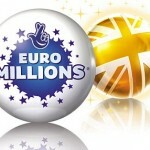 This is the fifth time that EuroMillions lottery prize has rolled over. 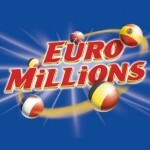 Lottery officials estimate a € 72,000,000 for the midweek lottery draw. Even though the draw lacked a jackpot winner, four tickets scooped the second tier prize of £377,206 while an overall of more than three million tickets won prizes from the draw.